It's March, the month that celebrates women. Come share a drink with us on this occasion at Le Lieu Unique. 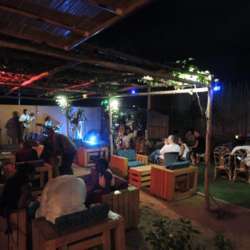 As the name suggests, it is a unique venue. Here you will find Afro-European cuisine with an orchestra featuring the best Afro-Euro-American hits, and with a bit of luck, some Beninese artists who could be there, and will be able to make us enjoy a stage performance. Not to mention of course that you can hit the dance floor!